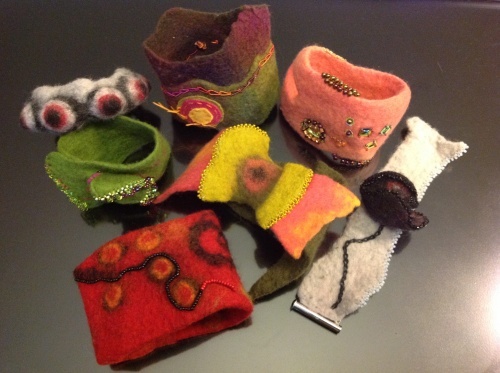 Dabble in the magic of felt making while creating and custom-sizing a soft and luxurious cuff bracelet of fine merino wool. Using the Turbo Felting Board accelerates the process, leaving time to explore several surface design techniques that include wool placement, deconstruction, decorative embroidery stitches, sequins, beads and crystallized elements or stones. Expect to complete the cuff in class though you may continue to embellish after class...perhaps making it reversible!